Okay, so it's no secret that I don't like baking. I think I mention it like every other post. I feel badly for Charlie sometimes. Because if I do happen to make something or we do happen to order dessert after dinner, he really enjoys it. I'm lazy, though, and baking requires thought and effort so too bad for him. Happy Valentine's Day, sweetie!!! Luckily, the world wide web has some amazing Valentine's Day dessert ideas so I thought I'd do a little research for you guys since I got nothin'. 1. 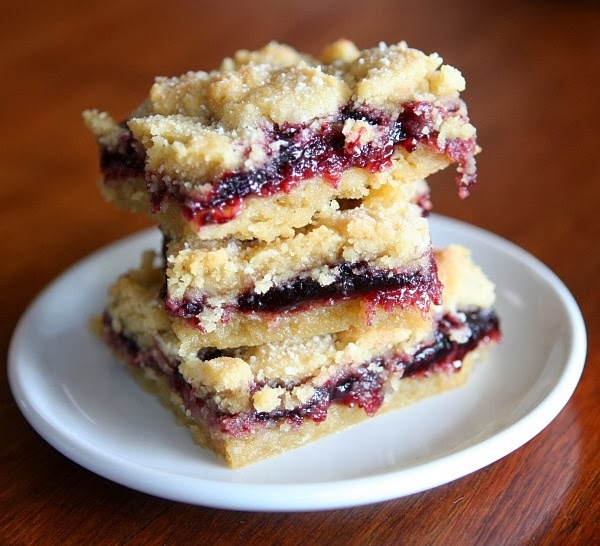 Blackberry Jam Bars from Bake-a-holic look simply amazing. I'm thinking for Valentine's Day, you swap about the blackberry jam for either raspberry or strawberry preserves to make them extra Valentine Day dessert-ish. 2. 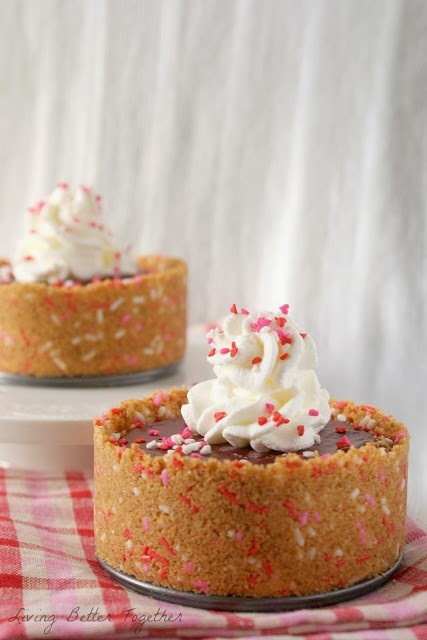 Red Velvet Cream Pies for Two from Living Better Together just look so cute. I can't even handle it. 3. 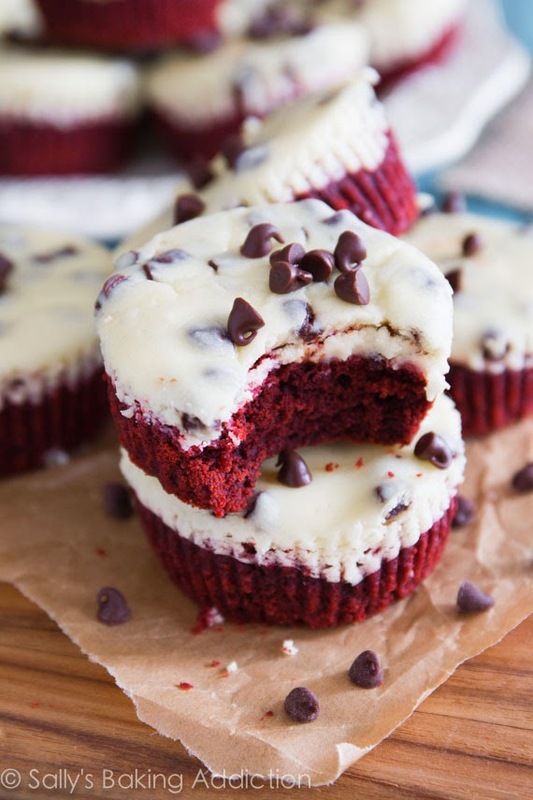 Mini Red Velvet Cheesecakes from Sally's Baking Addiction look SO DELICIOUS. What an awesome idea. 4. 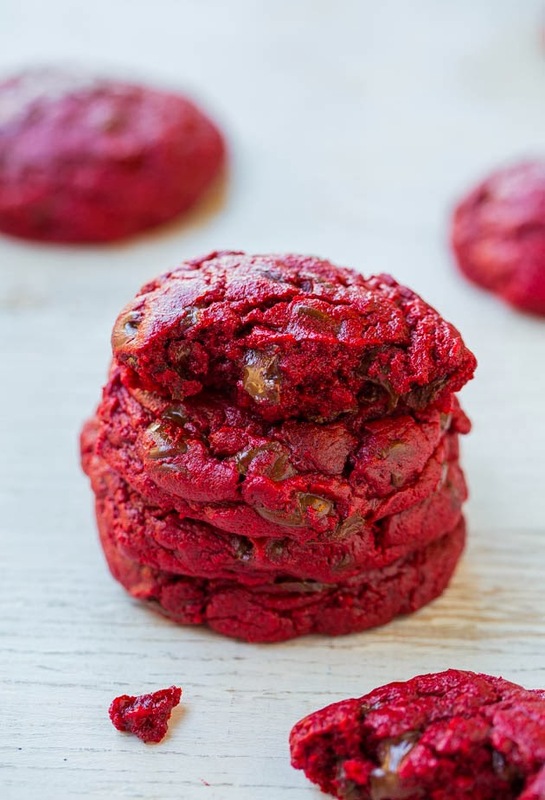 Red Velvet Gooey Butter Chocolate Chip Cookies from Averie Cooks. Whew that's a mouthful. I just wish it was a mouthful of this dessert and not words. 5. 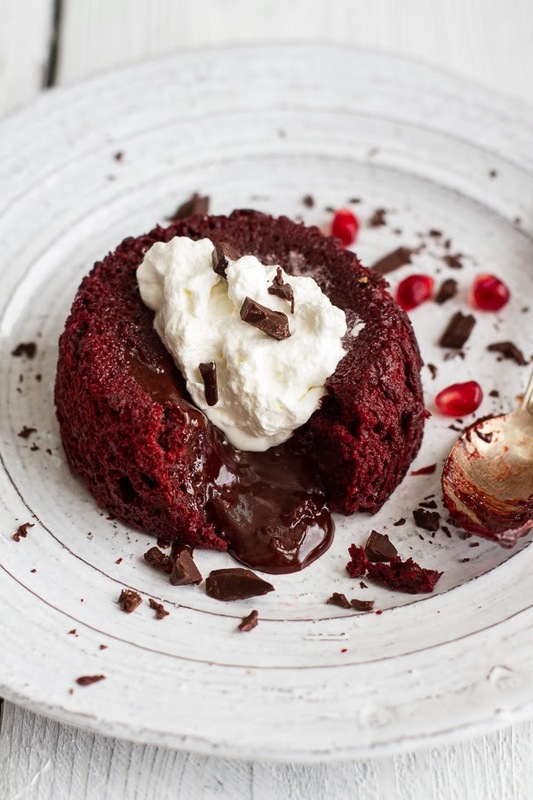 Red Velvel Molten Chocolate Cake from Half Baked Harvest. What a SWEET idea. I wish I had thought of it. My mouth just drooled....a lot. I just love how special and festive this Valentine's Day Dessert is. So special! Okay folks! That's what I'v got. What sweets are you going to make for your sweetie this year? I have the batter for those gooey cookies sitting in my fridge waiting to be baked. I am dreaming of their amazingness already.